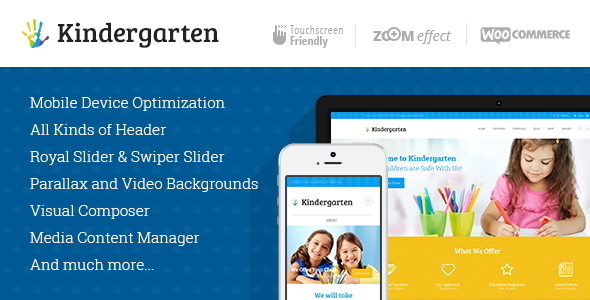 Kindergarten is an awesome solution for children website. 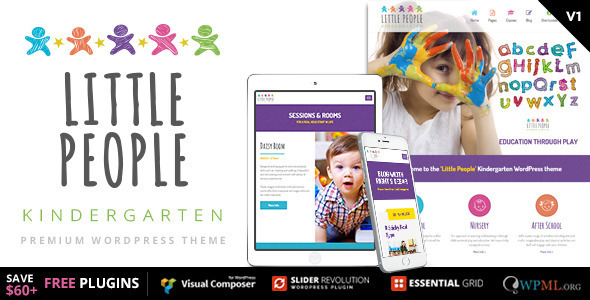 Kindergarten is a multipurpose WordPress theme full of cool features, like multiple header layouts, numerous blog styles, advanced rating mechanism and beautiful sliders including Royal, Revolution, Swiper and Flex. 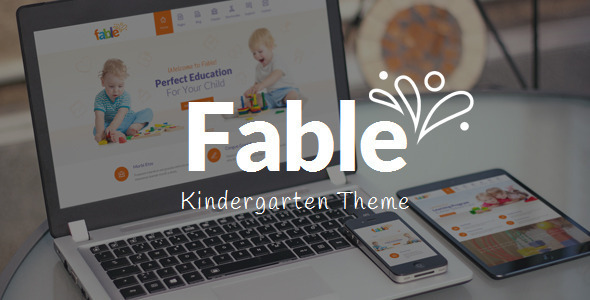 Using powerful media content manager you are able to arrange your contents the way you like.